Looking for a cold dessert to help you cool off this summer? Got the perfect recipe for you. You should try Lemon Icebox Pie. It is not a rich tasting dessert just light, and cold. When I had my own apartment my grandma would stop by for a visit, and bring me a Lemon Icebox pie cause she knew it was my favorite desert. This is one of those family recipes I had always loved, and wanted to learn to make myself. Figured what better excuse to try to make a Lemon Icebox Pie than a work spread, so I made one to take for our monthly spread. This way I take it to work, and get my coworkers to eat it instead of myself. Good way to cut back on calories right? Viola that is it! This was my first attempt at making it, and was very surprised how easy it was to make. Now my grandma hand makes the graham cracker crust, but I went the cheat route with a store bought graham cracker crust. Her crust is definitely better, but the store bought worked out pretty well. Still tasted good, and made it pretty quick to make. 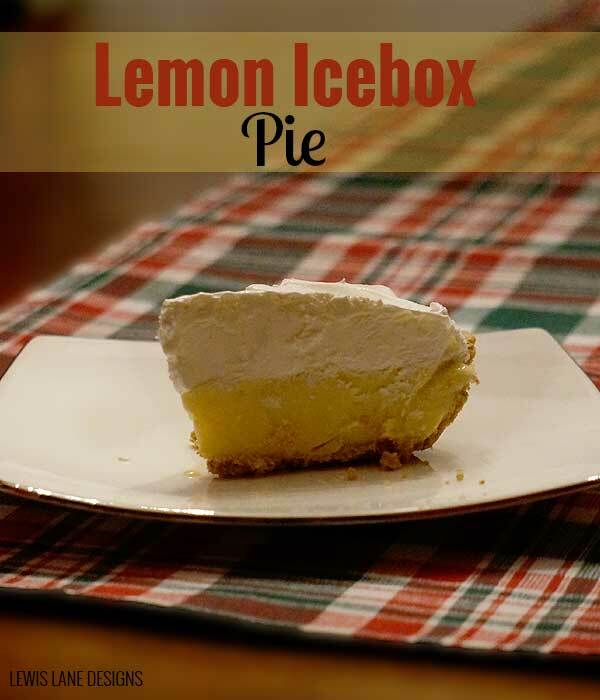 Store your Lemon Icebox Pie in the freezer after you make it (Hence why it is called Icebox Pie). Just sit it out about 30 minutes before you want to serve it to thaw a little, so you can cut it. You don’t want it to sit out too long or it is just becomes watery mess. What is your favorite summertime dessert or family recipe you just had to learn to make? Checkout my Recipe Board on Pinterest to help you find other summertime recipes.